Selling a house when there’s a foot of snow on the ground and your well-tended landscaping is either frozen or buried can be a challenge, but winter weather gives you the opportunity to showcase your property’s unique aspects. Property owners in Gahanna, OH, are no strangers to the struggles of winter, but they trust EXIT Trinity Realty when it comes to selling their homes quickly. Get Cozy By The Fireplace: Fireplaces, both wood-burning and gas, are desired home features that can often go overlooked in the heart of summer. Homebuyers may not realize how much they want a fireplace until they walk in from blistery winter winds to find a crackling fire peacefully warming up a cozy space. 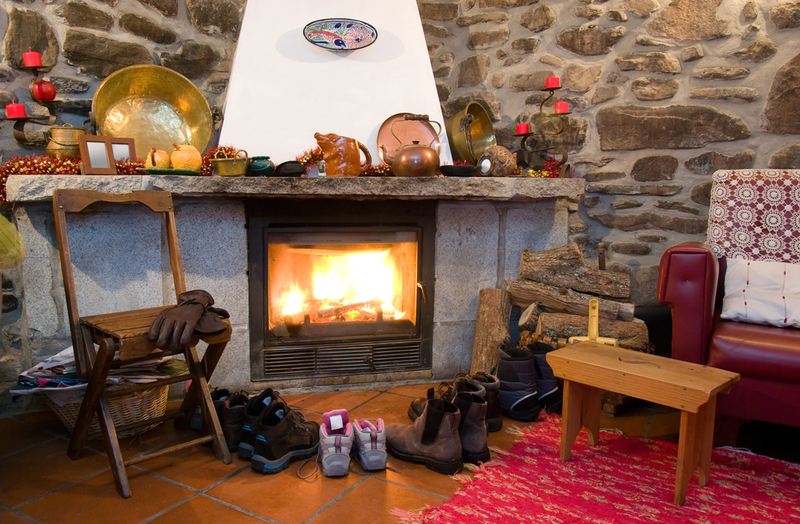 If your property features a fireplace, don’t let it go to waste. Have it professionally cleaned and make sure it’s burning for every open house. Highlight New Insulation: While new insulation may not be as exciting as a charming wood-burning fireplace, it’s an important property feature. Homebuyers look for properties that require minimal updates and maintenance. If you mention all the insulation is brand new and won’t need to be replaced for the next several years, that might be the icing on the cake for a prospective buyer. Showcase An Efficient Heating System: Winter temperatures are unavoidable in Ohio, and that means smart homebuyers will be interested in what kind of heating system a property has regardless of what time of year it is. But winter gives you a unique opportunity to show them firsthand how efficient your heating system is. Selling a house isn’t always about curb appeal; it’s also fitting the practical needs of buyers. The team of professionals at EXIT Trinity Realty take an innovative approach to real estate, and they’ll help you sell your house in time for spring. Learn more about selling a house by visiting them on Facebook or calling (614) 269-4663.